I've written about how being a chronic people pleaser can be devastating to your career, your relationships, and your self-esteem. Many of you responded to that post by sharing that how hard it is to "just say NO." It was once hard for me too. And sometimes, it still is. It takes lot of courage to say NO. And it takes continuing practice to get better at it. The more you practice, the easier it gets. As with anything new that lives outside your comfort zone, the first step is the hardest. Below, I've listed 6 exercises to strengthen your saying NO muscle and help you get clear about why saying NO is often the best option for you. Sit down and answer the questions below with an open heart. Write the answers out. Imagine and write freely. Be detailed and specific. 1. What are you tolerating today? And when I heard my colleagues complaining about his actions, I'd feel even worse. My heart sank every time I had to go on business trips that I felt were a waste of my time and energy. And I could certainly live without the guilt I felt when I refused to respond to work emails on the weekends. What are you tolerating today? What moments make you cringe inside? What would you like to live without? 2. How do you want to live and who do you want to be? When I got sick and tired of feeling sick and tired, I decided I wanted to be happy and fully enjoy my life. I wanted to be graceful, passionate, kind, confident, happy, peaceful -- someone who makes a difference in the world. I wanted to help people shine. In the deepest part of yourself, how do you really want to live? If you had no fear, doubts or restrictions, what kind of person would you become? Who are you underneath the image you present to the world? 3. What is really important to you? I finally realized that doing work I truly believe in makes me happy. To me, that meant helping people shine their true colors. I wanted to spend more time with my family in Japan and the United States, and spend quality time with my husband. I wanted to decide for myself how I spent my time. I wanted a career I control, without a looming, required retirement age. What truly makes you happy? What is your ideal way to live? 4. How does the person you want to be spend her time? What does she think? What does she have in her life that makes it wonderful? Use your imagination here. Imagine yourself as the person you aspire to be. You're living the life you want, smiling, free of the burden of the things you used to tolerate. What will you not tolerate in your life? What does a typical day look like in your life? What habits do you focus on? 5. What are your life's rules and standards? My office hours are 9 a.m. - 6 p.m. I do not work on the weekends or holidays. I do not take client calls after 6 p.m. I do not answer work emails after 7 p.m. I set my inspiration time to read and write from 7 a.m. - 9 a.m. I eat healthy, planned meals at a scheduled time. I go to bed at 11 p.m. I have a weekly Sunday meeting with myself to plan the week. I do not turn on the TV during office hours. I do not eat in the family room. Are you ready to practice saying No? Saying no does not mean you are not nice. It means you are setting your boundaries. You are standing in your presence and power and honoring yourself. You are showing your colleagues, friends and family, which actions or behaviors you accept and which ones you won't. When you say NO, you teach people how to treat you. 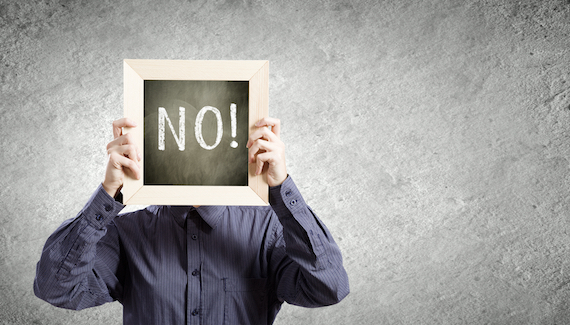 It's not easy to go from being a people pleaser to saying NO. Practice is the only way you will get better at this. But, the good news is each time you say NO, it becomes easier. Start honoring your ideal life by refusing to waste your time, space, and energy on things you don't value, people who don't appreciate you, or activities that don't lift you up. Saying NO to what you don't want is key to receiving what you want most in your life. Let's start building that saying NO muscle. No more excuses. What do you no longer want to tolerate in your life? What will you start saying NO to today?